Thursday started out wondering where our morning events went. RT used to hold breakfast events, but this year, there was only one. 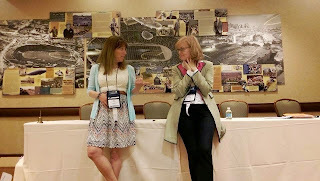 After braving the epic coffee line, I "crashed" a bookseller/librarian panel with Jill Shalvis and Eloisa James (it was open to everyone, but I was the only blogger/reader there). 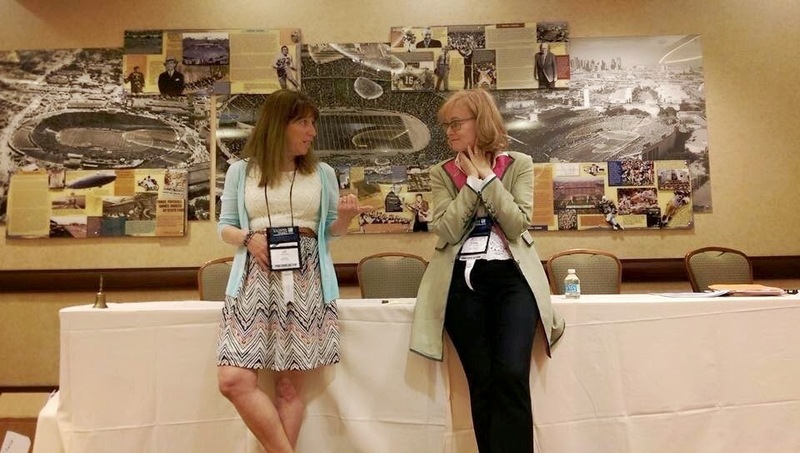 The panel was on curating the perfect romance collection and featured some brainstorming about how to get the word out about events, how to gather a good, representational selection of romance, and how to play around with displays to cross sell with other genres. There were some EPIC ideas. I took 3 pages of notes for my niece, the librarian. 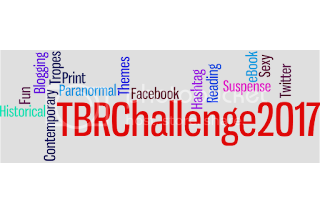 Many were based around finding tropes in different genres to display. Or putting books together by setting. Ideas like putting Outlander and several Scottish romances with a Scottish cookbook and books on the Loch Ness Monster. Or matching classic literature choices with their romance "equivalent" in terms of trope. Or heroines with unusual jobs. It was a great idea, especially as a tool to entice romance-resistant indie bookstores to stock romance. Another great idea is to always stock the first book in a popular series. I can't tell you how important that is. When Janet Evanovich was first taking off, so many people would come into B&N looking for the first book (which we never seemed to be able to keep in stock). You don't have to have the entire series (although it wouldn't hurt) but the first and latest are musts. I had planned to attend an Urban Fantasy panel after that, but somehow got roped into attending the Cover Model Karaoke one instead. I missed this gem last year. Me with my RT roommate. The second informational panel I attended was one on Paranormal fiction called the High Price of Love and Magic. Moderated by Gordon Andrews, the panel featured Charlaine Harris, Darynda Jones, Gena Showalter, Kresley Cole, and Jessica Clare. (Sorry for the awful photo. I was in the back of the packed panel and only had my phone). I live tweeted what I could, but there was some news about the future of these authors' series, too. The biggest one was that Kresley Cole is expanding her series, which means that Nix's book is still a long ways off. 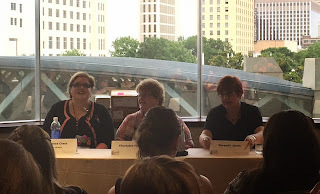 Charlaine Harris also announced that she's working on a new project with Christopher Golden. Related to the theme of the panel, every panelist agreed that their characters pay an emotional, physical or mental price for having powers. Charlaine Harris followed up on this by saying that sometimes writers try to get away from having their characters pay that price, but for the books to have weight, some (bad) things need to be irrevocable. People who die sometimes need to stay dead. Someone else on the panel responded by pointing to the TV show Arrow whose main character has come back to life multiple times and how cheesy that is. I feel your pain. I have two reluctant readers myself. It's very hard to recommend series books in any genre when you don't have the 1st in stock. Even if they're stand alone. I think the majority of us want to read in publication order. When I managed the fiction section at a local B&N, I'd have to constantly order in the first book because our system just wouldn't do it automatically. Drove me batty.